Timmons Group is a multi-disciplined engineering and technology firm recognized for nearly twenty years as one of Engineering News Record’s (ENR) Top 500 Design Firms in the country. The firm provides civil engineering, environmental, GIS/geospatial technology, landscape architecture and surveying services to a diverse client base. 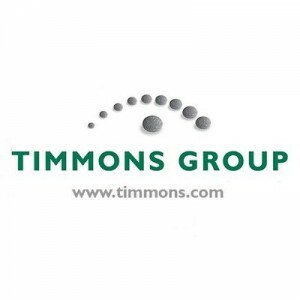 Headquartered in Richmond, Virginia, Timmons Group has regional offices throughout Virginia and North Carolina.